Slide over, boys in blue. Female cops are in control. This spinoff of A&E’s popular Live PD isn’t live — the show is filmed documentary-style — but offers plenty of street action with women. Ahead of the premiere, we got to know some of the featured officers who are keeping streets safe. No wonder she won her town’s Officer of the Year award in 2016. 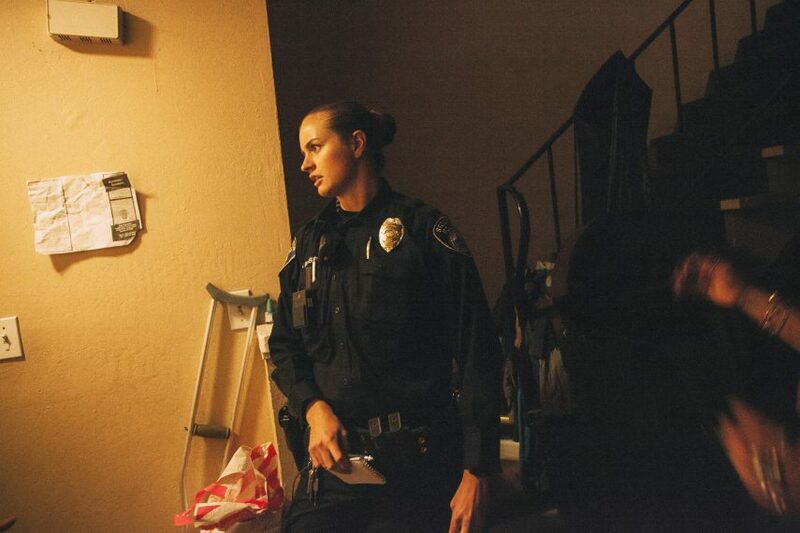 As rampant opioid abuse ravages the state, O’Bryan, a patrol officer with four years on the job, has used her own money to get a 69-year-old homeless woman off the streets. "I don’t even think my family knows the kindness that often happens with police work," she says. The city is home to Arizona State University, so Roy sees plenty of kids behaving badly. But the ASU alum, who started as a patrol officer two years ago, tries to understand the capricious youth. "I have compassion because I’ve been there!" she says. Nice neighborhoods can suddenly switch to gang-infested areas where "things escalate quickly," says patrol officer Twigg. Case in point: While filming one episode, police investigated someone with a gun and got swarmed by a belligerent crowd. But female cops can often provide a calming influence when things get heated. "Women can do this job," Twigg says, "and sometimes even better." The U.S. Army Reserves vet joined the department in 2004, specializing in child abuse and sexual assault cases. Through the years, she’s had to prove herself. "You have to work a little harder to accomplish the same thing in a male-dominated field," she says. Now the respected law enforcer overseeing several agencies has a new goal in sight: sheriff!